Black Friday Special: Enjoy the Brand-new Event and Get the Best Deal! Are you ready for the annual shopping frenzy? League of Angels II has prepared many wonderful events for this holiday shopping season! Except for various wonderful sales and bonus events, LoA2 will introduce a brand new event called Angel's Fortune on Black Friday. In this event, players can draw for Angel's Fortune Coins to exchange for the new mount Battle Hippo and various other items and resources. What's more, players may have chance to win the Jackpot rewards the amount of which may beyond everyone's imagination! Can't wait to see this event? Let's take a preview of the highlights! 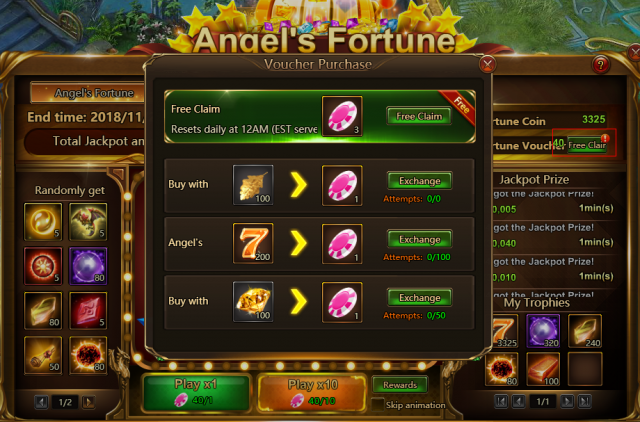 Angel's Fortune is a cross server event, in which players can use Angel's Fortune Vouchers to play Angel's Fortune. Players can claim free play vouchers every day as well as buy vouchers with Golden Leaves or Topaz. There is a guaranteed Minimum reward for playing, plus various levels of Coin rewards for getting specific outcomes. 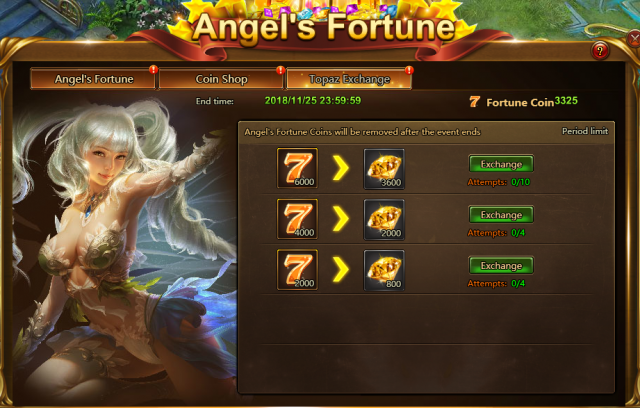 Angel's Fortune Coins can be exchanged for items or Topaz. Each play will add coins to the Jackpot Prize pool. Winning the Jackpot prize will reward all the coins in the pool. 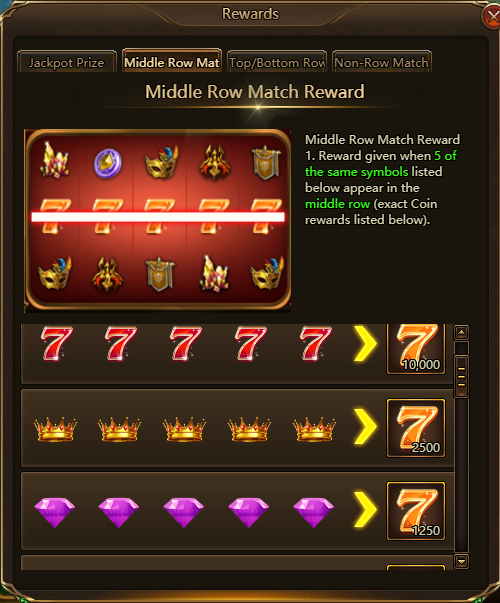 There will be four rewarding situations in total when you play Angel's Fortune, namely Jackpot Prize, Middle Row Match Reward, Top/Bottom Row Match Reward, and Non-Row Match Reward . Different situations will offer players different rewards. Click 'Rewards' Button to check out all the situations. 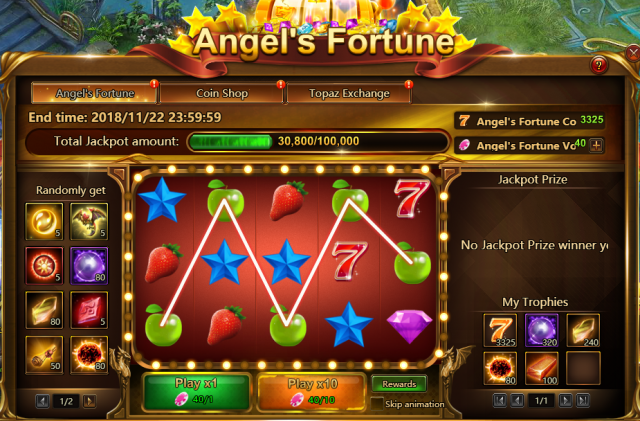 The Angel's Fortune Vouchers can be gained in many ways. Players can get 3 free vouchers each day, and the vouchers can be exchanged with Golden Leaves, Angel's Fortune Coins, and Topazes. Click 'Free Claim' button to get or exchange for Angel's Fortune Vouchers. The Coin shop offers many rare items and resources, players can spend Angel's Fortune Coins to buy the goods they want. 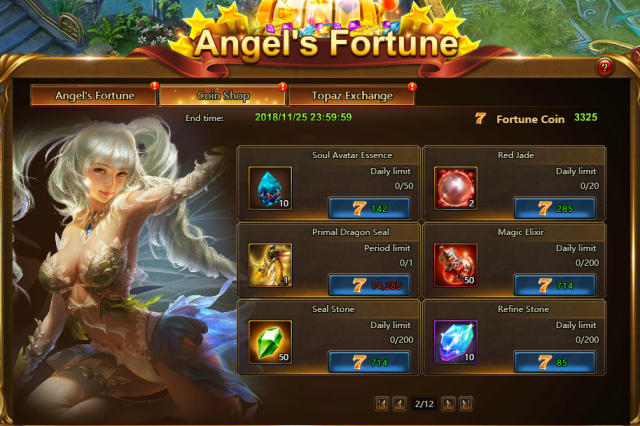 Angel's Fortune Coins can also be exchanged into Topazes. Please note that the Coins will be removed after the event ends, so use them in time! 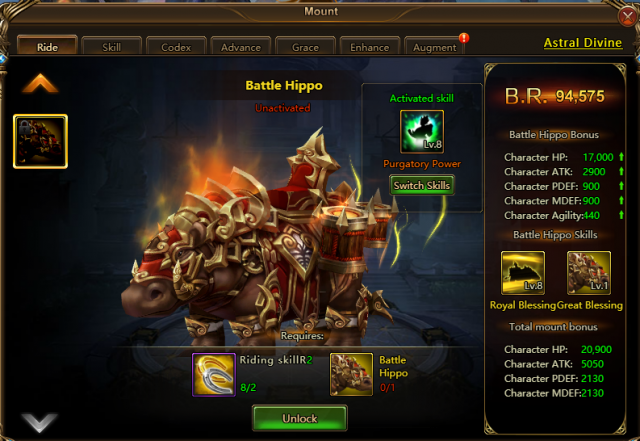 Battle Hippos is an Artifact Grade mount. His unique skill Royal Blessing can apply a buff on the front row allies, which enable the front row immune to negative effects during the first round of the battle. If you would like to end the battle fast, then Battle Hippo may help you a lot. During Black Friday event, this powerful mount can be exchanged with Angel's Fortune Coins in hot events. During the first round of the battle, front row allies are immune to negative effects; increase the END and DEF of front row allies by 17.5% until the end of the battle (this effect cannot be dispelled). At the start of the battle, increase own max HP by 15% until the end of the battle; increase the DR of the entire squad by 18% for 2 rounds. Many other bonus events will also been issued in game. Check out the time and don’t miss them! Come and join in the yearly shopping frenzy in LoA2 from Nov. 23rd to Nov. 25th. You may win big in the new event Angel's Fortune and get the chance to ride powerful new mount Battle Hippo! The Black Friday Special events will also offer the best deals for you! Hope you enjoy the events and keep enjoying LoA2! Last：New Pet Joker Jack Brings You Endless Joys!